Another dramatic story in the Forgotten Coast series. This time there’s a hurricane on the horizon, and the Florida coastline is vulnerable. I’m going to be honest, I’m not usually a big fan of the kind of high-octane thrill-ride expected of this kind of premise. It tends to be too frenetic for my taste. I like to have time to smell the roses along the way, so to speak, which is probably why my preferred genre is epic fantasy. I needn’t have worried, though. 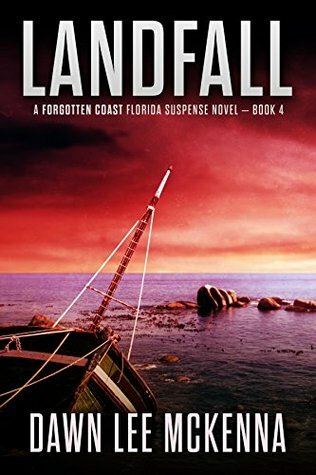 Yes, there’s a lot of dramatic action, and the hurricane is no small part of that, but the author’s main focus has alway been firmly fixed on the characters and their wonderful interactions. So in the midst of all the drama, there’s also time for the characters to find out about each other, and for the reader to find out more about them, too. These are people with lots of secrets. And there’s plenty of humour too. For anyone who’s a fan of Stoopid the rooster or Coco the dog, you’ll be pleased to know that they have starring roles in this book. Four stars.